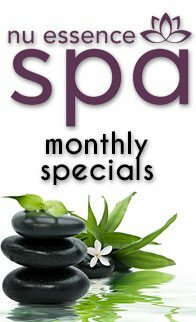 Take the time to relax with a 30 minute Swedish Massage, an Express Organics Facial, an Express Pedicure and Express Manicure. A 60 minute Swedish Massage, a Classic Facial, Spa Pedicure and Spa Manicure. 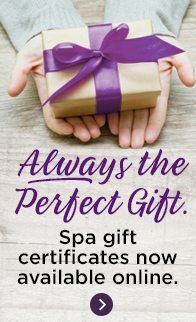 Spend a day at the spa with our ultimate spa package. 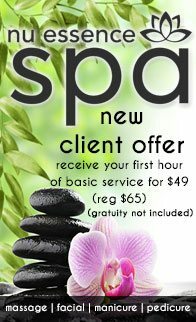 Start out with a Full Body Scrub and Body Wrap, followed by a 60 minute Swedish Massage to relieve stress. Next indulge in a 60 minute Classic Facial, a Spa Pedicure and a Spa Manicure. And don’t worry, lunch will also be provided. Enjoy 60 minute Swedish Massages and Express Facials in the same treatment room. Afterwards, retreat to our nail room for Express Pedicures in our professional massage chairs. All done without having to leave each others side. Minutes listed are treatment time totals. Credit Card may be required at time of booking. A 72 hour notice of cancellation for our Day-at-the-Spa packages is required. Gratuities are not included in package prices.